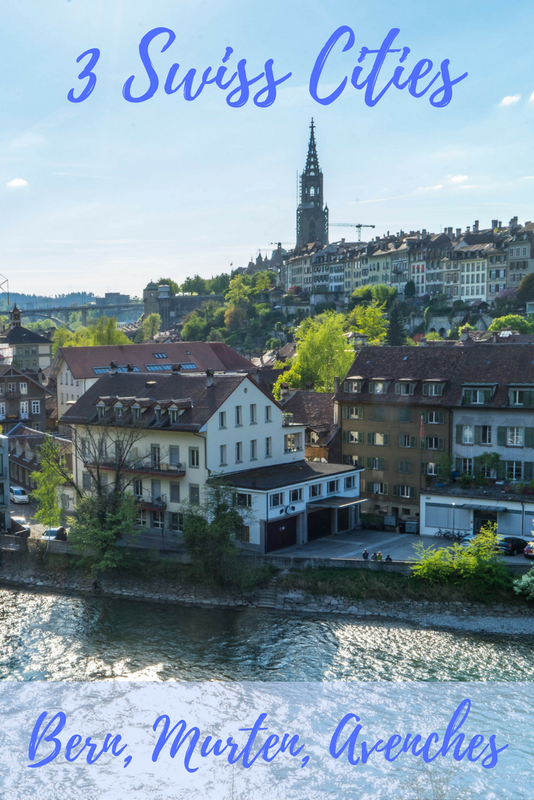 During our two-week tour of Switzerland, we set aside two days to visit Switzerland’s capital city, Bern. With two days in Bern, we were able to visit many of Bern’s points of interest, and we were also able to venture outside of the city for a day-trip to Murten and Avenches. 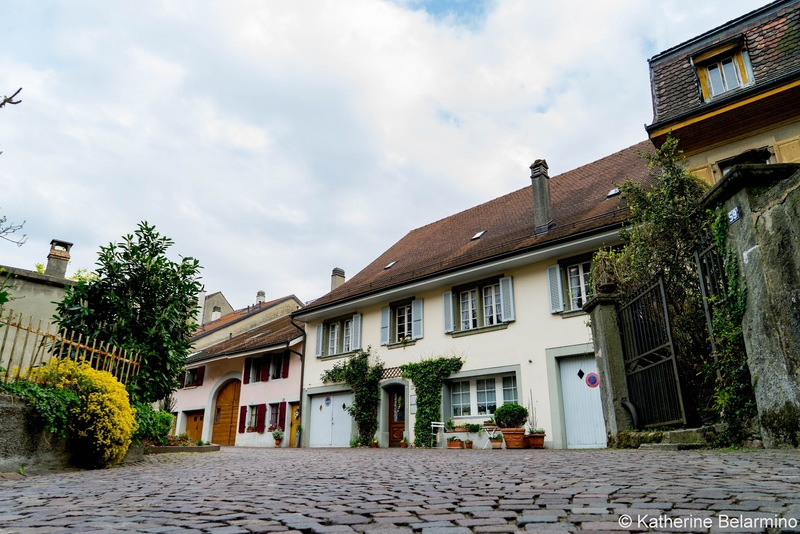 On our first day in Bern, we took a self-guided walking tour through the city with a few stops along the way. 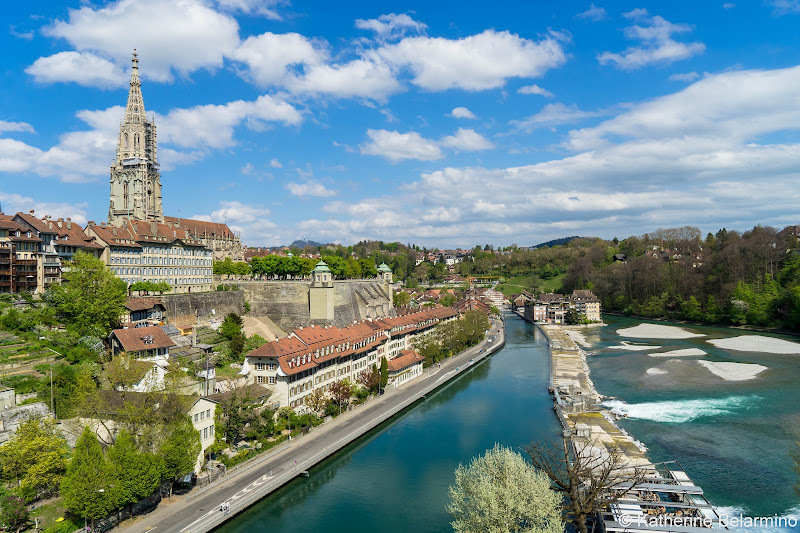 Bern is a medieval town built on a peninsula surrounded by the Aare River. Our first stop was the Bern Historical Museum. We weren’t really there for the entire museum, just one part, the Einstein Museum. 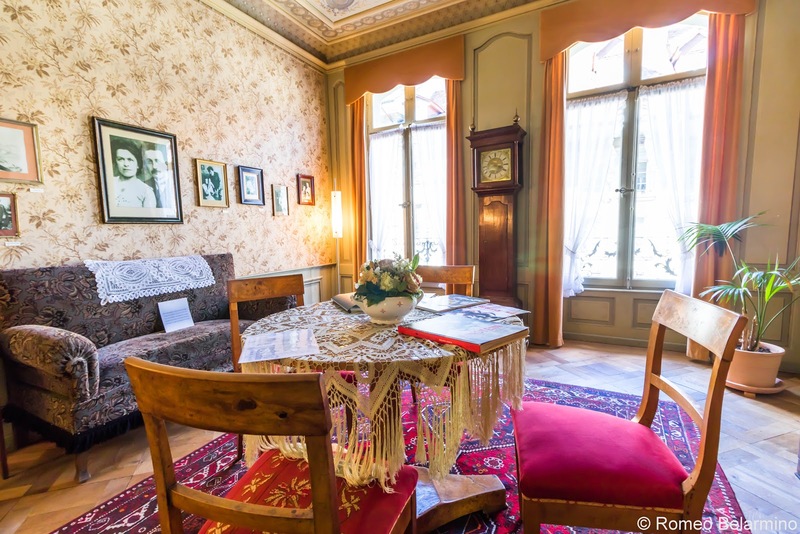 Albert Einstein lived in Bern from 1902 to 1905 while working as a patent clerk. That’s not a very long time, but he also developed his Theory of Relativity in Bern, so his time there is kind of a big deal. 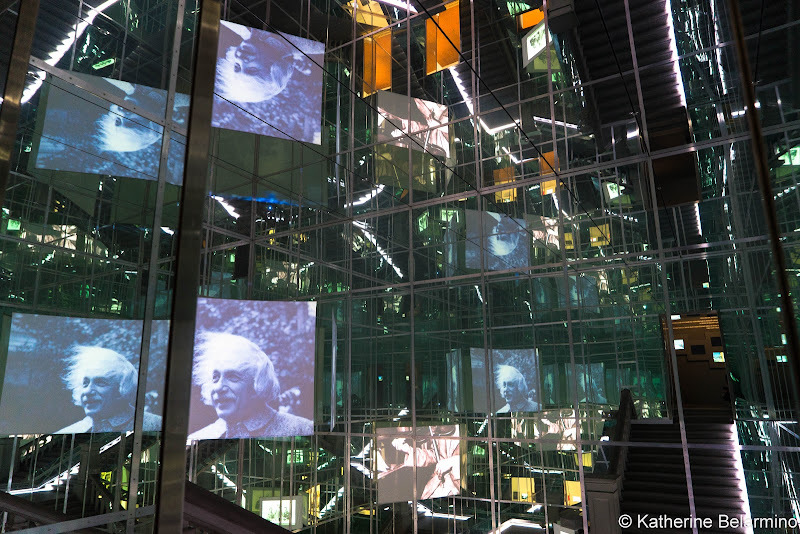 The Einstein Museum shares Einstein’s entire life journey. Did you know Einstein was offered the post of President of Israel? Entrance to the Einstein Museum is free with the Swiss Travel Pass. For more Einstein, we headed to the Einstein House where Einstein lived for two of his years in Bern. He lived here with his wife Mileva. The apartment has been restored to the style of the period when Einstein lived there. The old city of Bern is a UNESCO World Heritage Site. It was founded in the 12th century and is filled with medieval buildings. 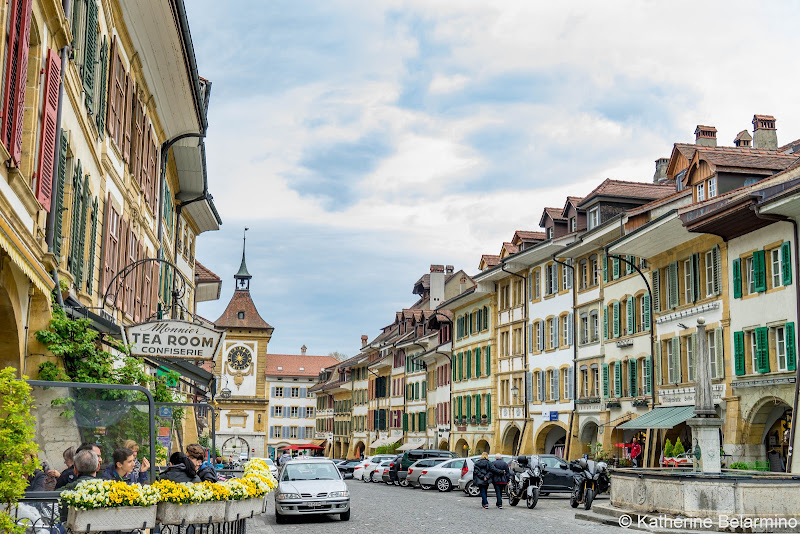 One of Bern’s interesting features is six kilometers of shady arcades of restaurants, bars, and shops, including some underground cellar stores. 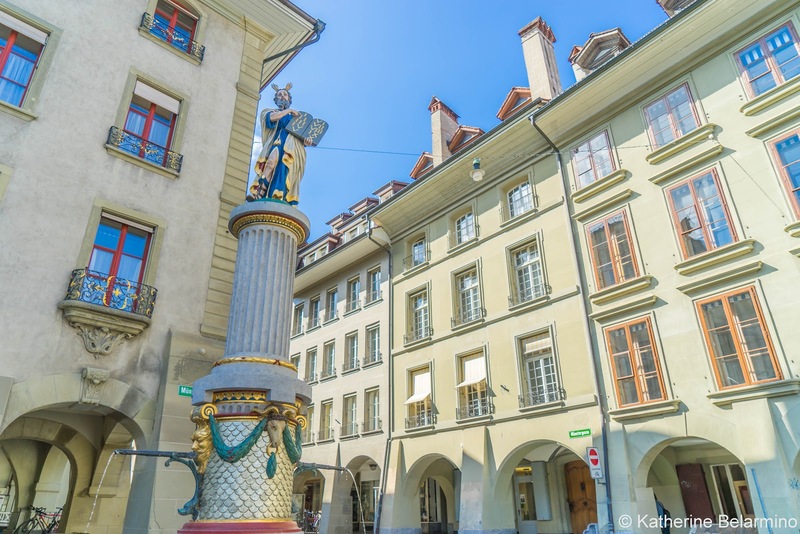 Another unique feature of Bern is its numerous fountains scattered around the city. Some fountains of note are the Bagpiper Fountain, Modern Fountain, Justice Fountain, and Ogre Fountain. 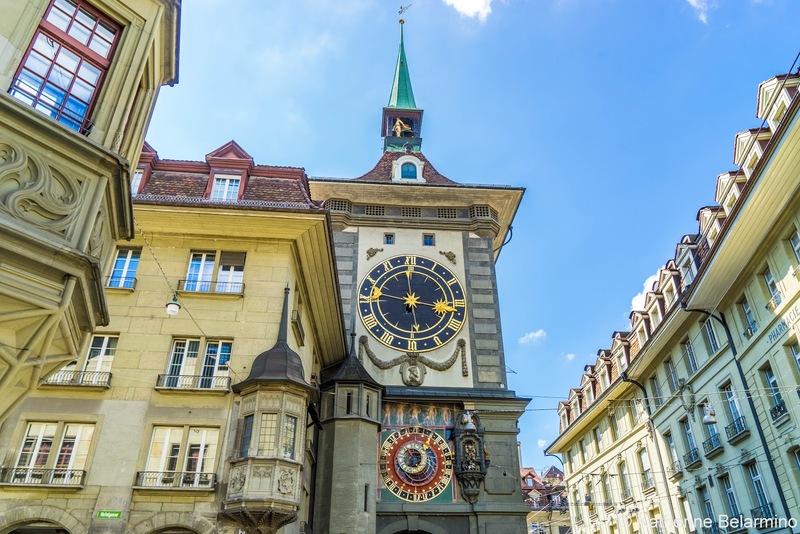 Another of Bern’s points of interest to be found on a walking tour of the city is Zeitglockenturm, the clock tower. The clock mechanism is from the 16th century and visitors come to watch the show every hour. 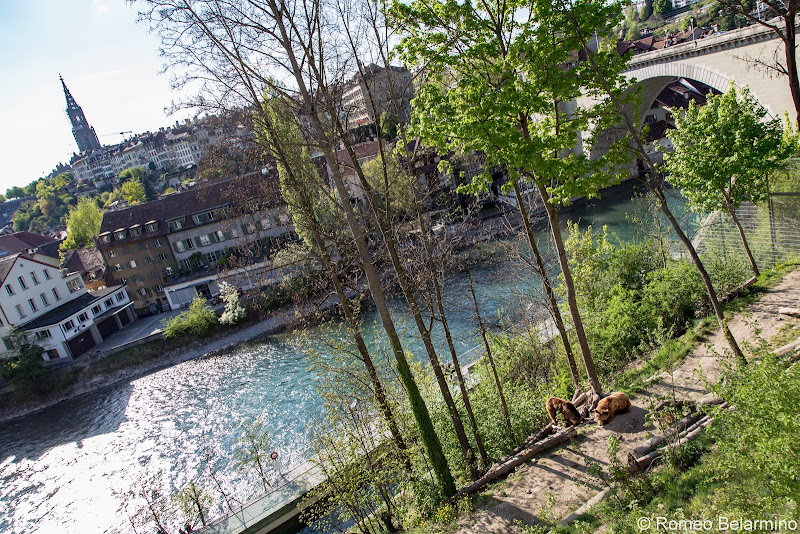 No visit to Bern would be complete without a visit to BearPark. 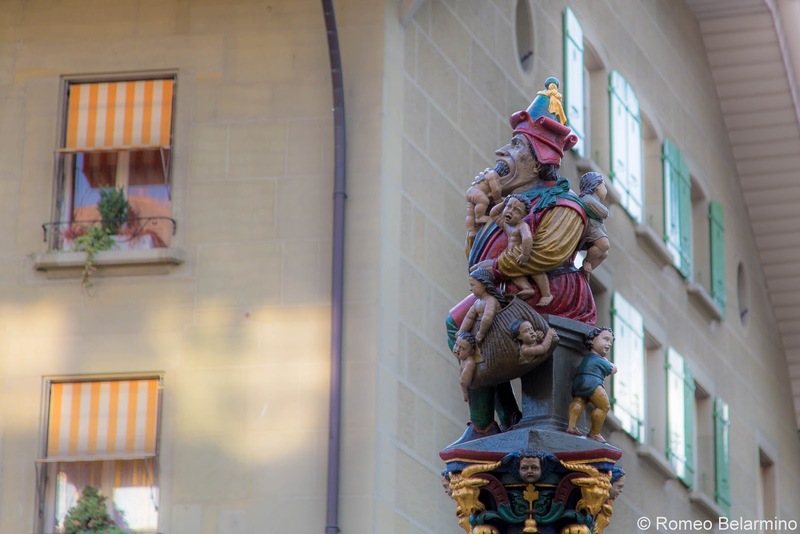 Bears have been kept in Bern since 1513. It used to be that Bern’s mascots were in small pits that couldn’t have been very exciting for them, but since 2009 they have lived in a large outdoor enclosure with grass and trees and a view of the river. 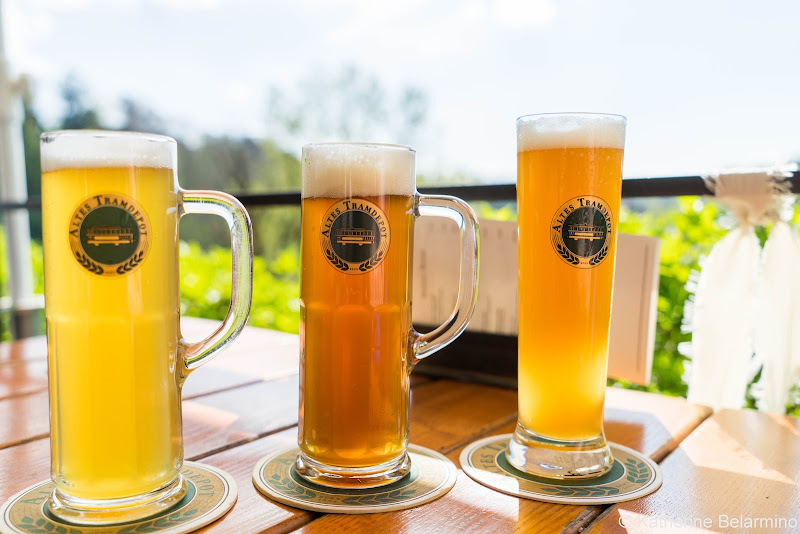 Just above the bears is a great place to take a gander at the old city of Bern while sipping a microbrew and eating a pretzel sandwich, Altes Tramdepot. One more place worthy of a visit is Bern Münster, Bern’s Gothic church from 1421. 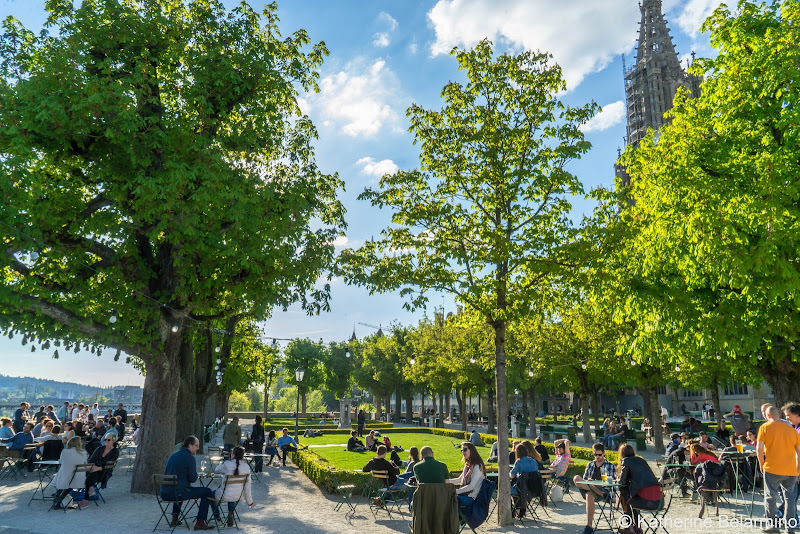 Behind the church is the Münsterplattform, an outdoor terrace with views of the Aare River. This is where the the people of Bern go to play, socialize, and enjoy the sun. As Bern is the capital of Switzerland, is has the seat of Switzerland’s government in the Parliament Building, a large domed building that has a water jet fountain which creates a great reflection. 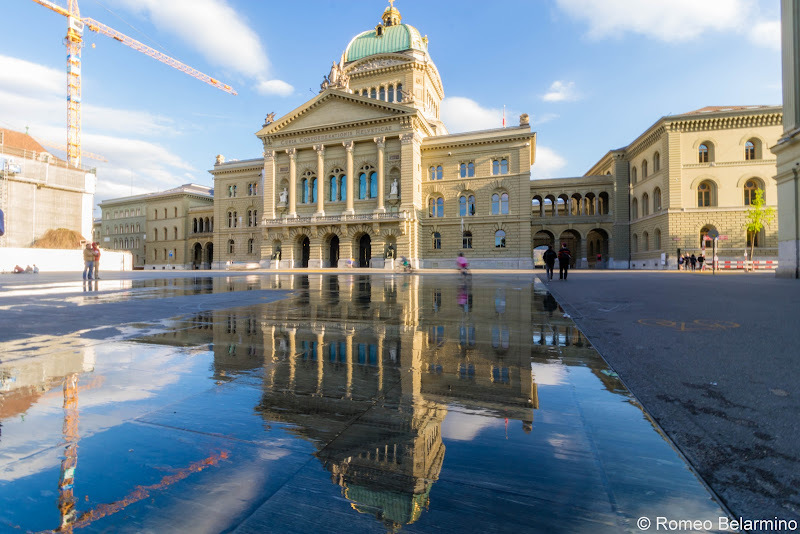 An easy way to learn more about the city is to download the City Guide Bern App and use it as a personal tour guide. It has a city map and provides a narrative about Bern’s points of interest. 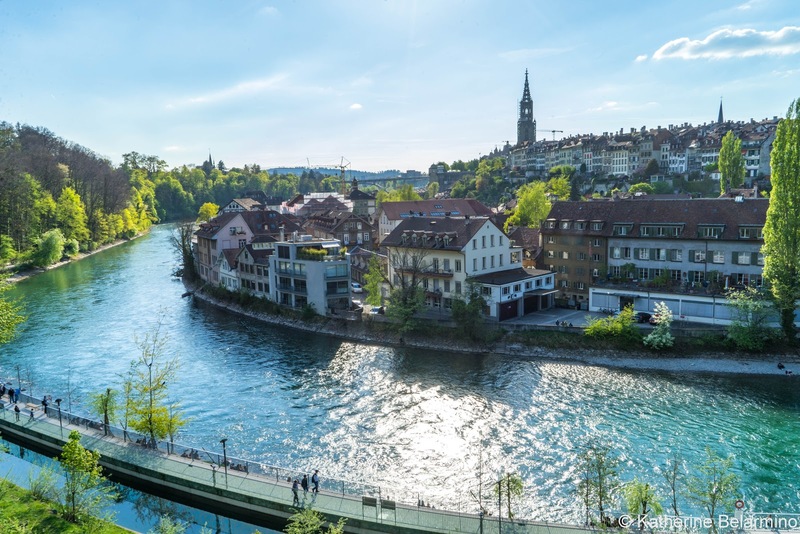 The information provided in the app can be supplemented with even more insider information by renting the iPod AudioGuide from Bern’s tourism office, which offers two routes with 18 stops each. 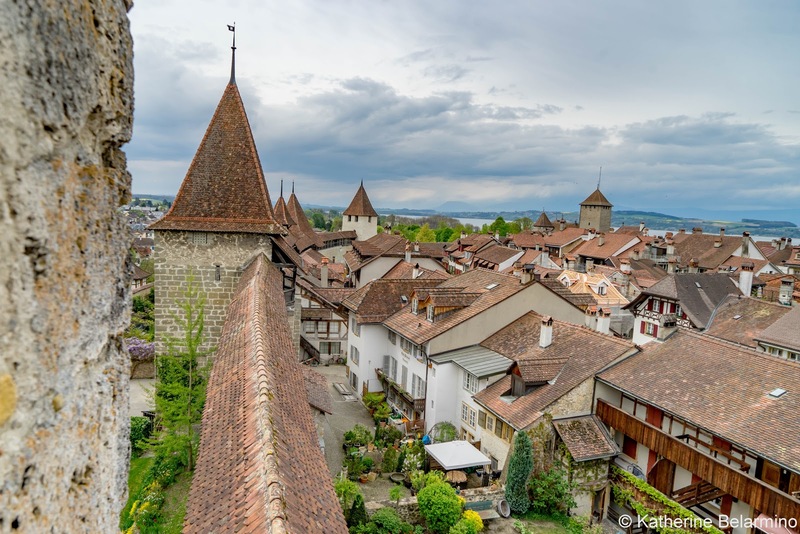 Murten is a quaint little medieval town which Rick Steves swears by and is a 35-minute train ride away from Bern. The best part of visiting Murten is walking the old city wall and viewing the ramparts from the top as well as getting a view of the many rooftops and chimneys. 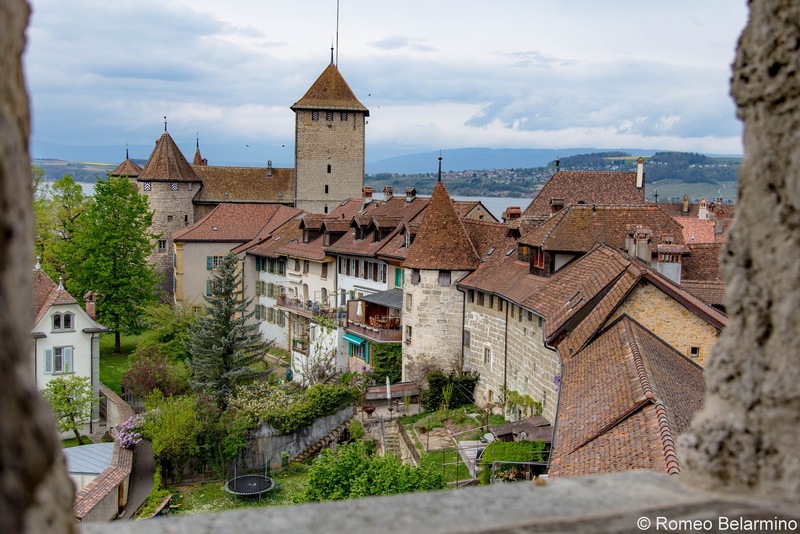 A short walking tour of Murten can include a castle, the town hall, a couple churches, a clock tower, and Lake Murten. Similar to Bern, there are some underground shops along the main street. 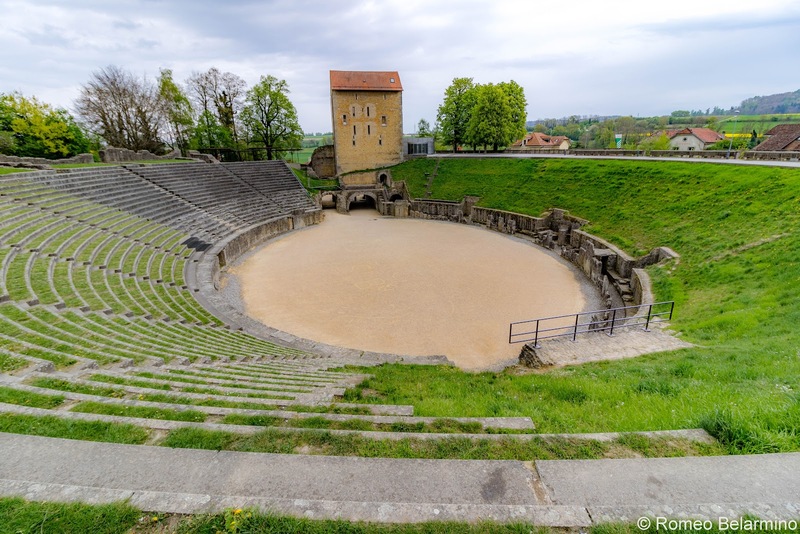 Avenches is a two-in-one city; medieval town and Roman ruins. Avenches is a short seven-minute train ride from Murten, so is an easy addition to a day-trip from Bern. With that seven-minute trip, you will travel from German-speaking Switzerland to French-speaking Switzerland. 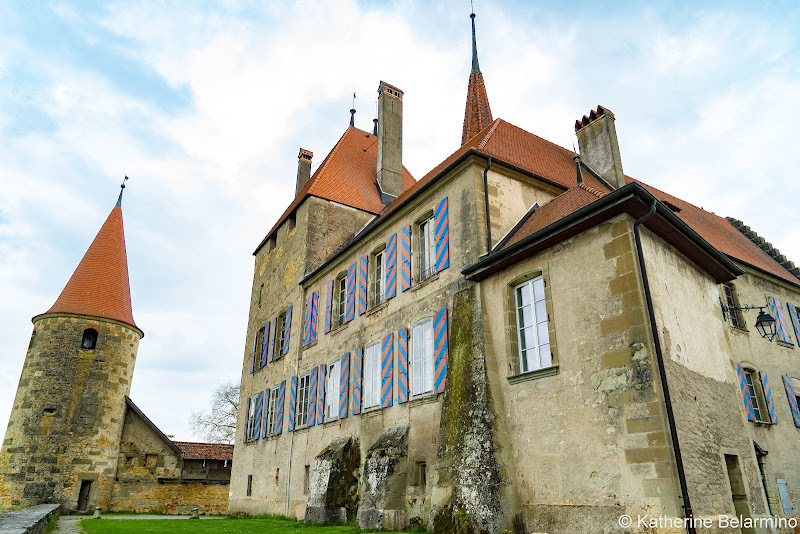 Avenches’ castle has a tower that was a jail 20 years ago but now holds art exhibitions. The medieval part of town includes a church, ancient wells, and towers from the old city’s fortifications. The Roman ruins include a coliseum, pillars from an old temple, a theater, and Roman baths. 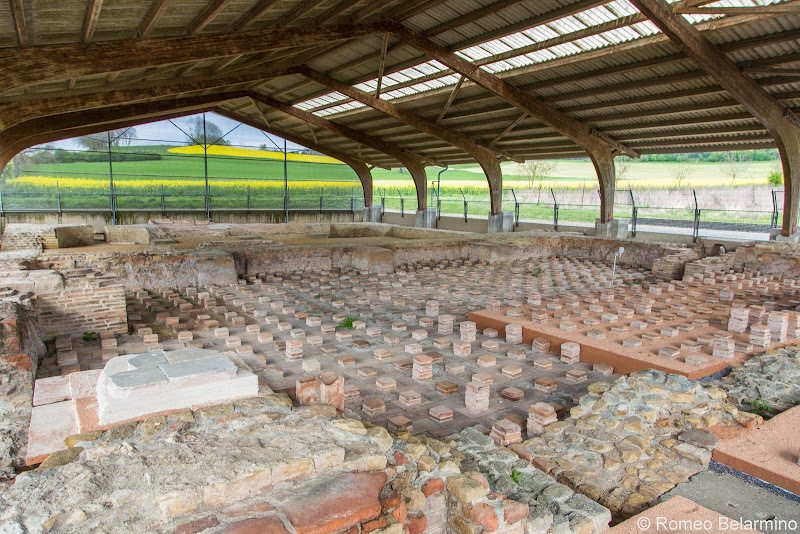 Many of the Roman ruins are just outside of the old city and require a bit of a walk. 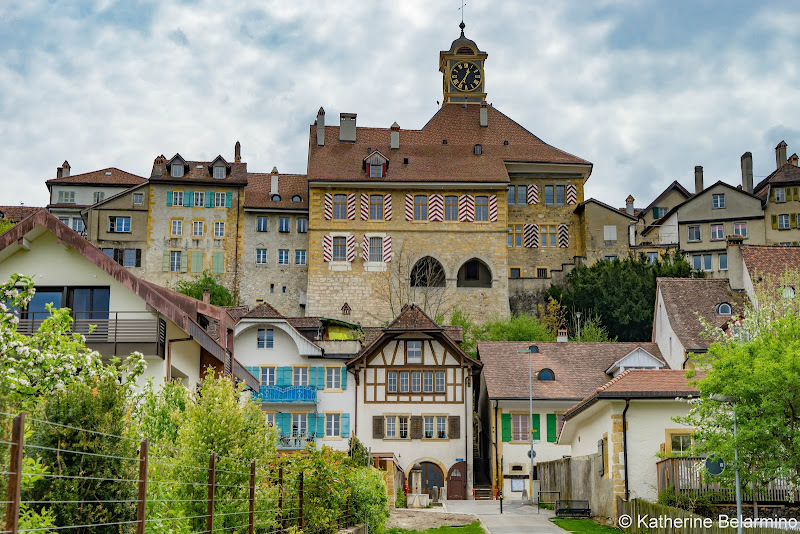 Walking around the tiny town of Avenches was a very different experience from Murten. There were not many tourists at all. 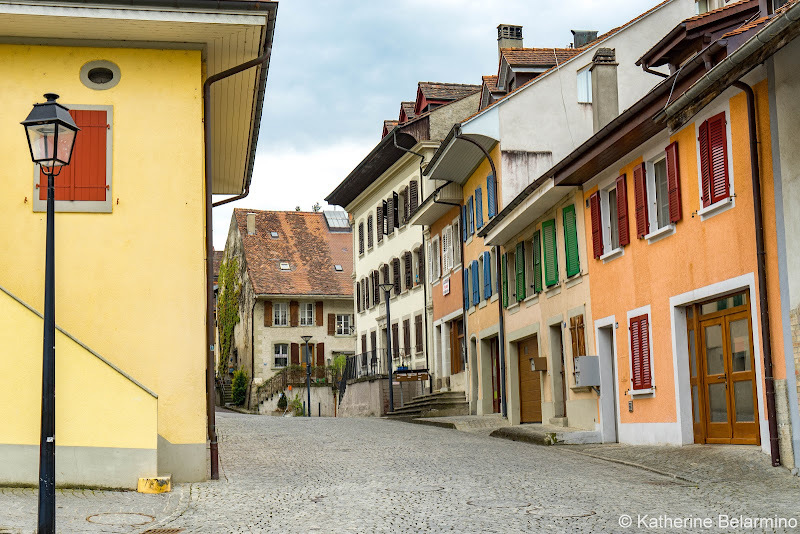 Regular people really live there in centuries-old houses, but with garages. For our two days in Bern, we stayed at Hotel Alpenblick. 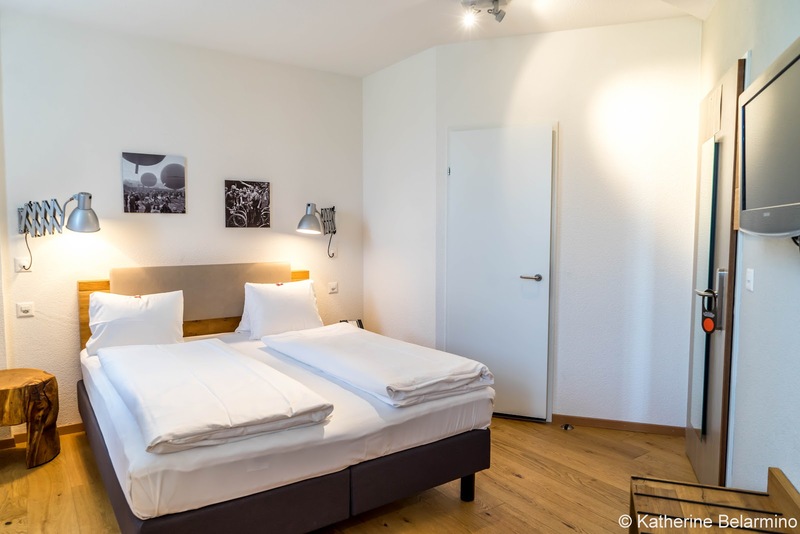 Hotel Alpenblick is in a cute brick building in a quiet little neighborhood. 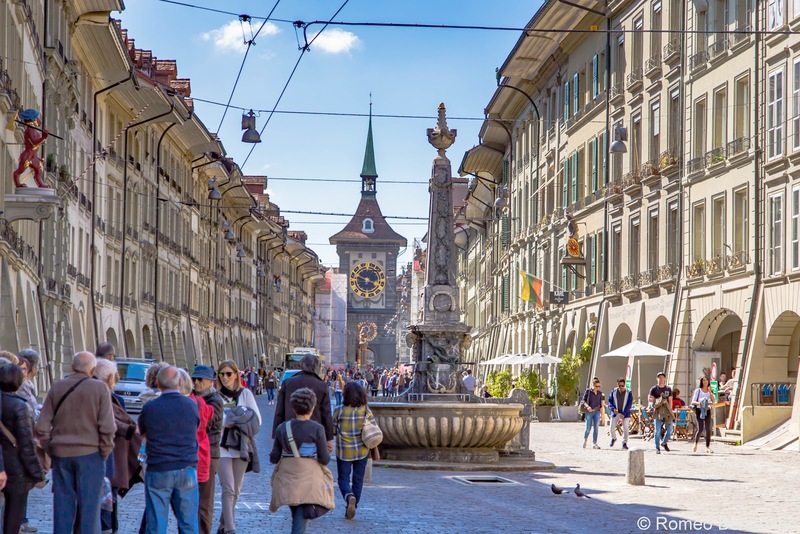 Bern’s old town is a six-minute tram ride away. Nearby, church bells called out the time. Our room was small but comfortable. 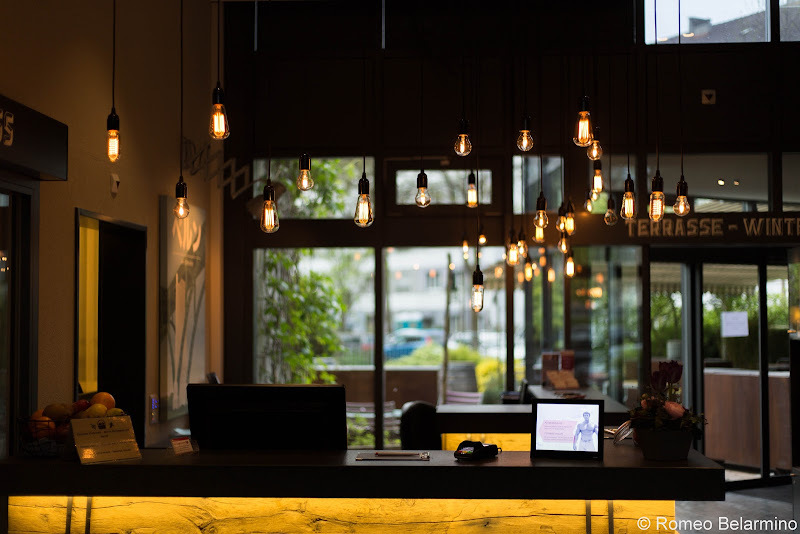 It was filled with furniture made with untouched wood and old-timey photos covered the walls. The bathroom was also small, but it was well designed and had a great mural of an old photo of the Swiss enjoying swimming in the river. Every morning breakfast is provided in the hotel’s restaurant. There is a large spread of coffee, juices, yogurts, cereals, bread, make-your-own soft- or hard-boiled egg, and the very important Swiss treat, Ovomaltine in the form of a crunchy spread. 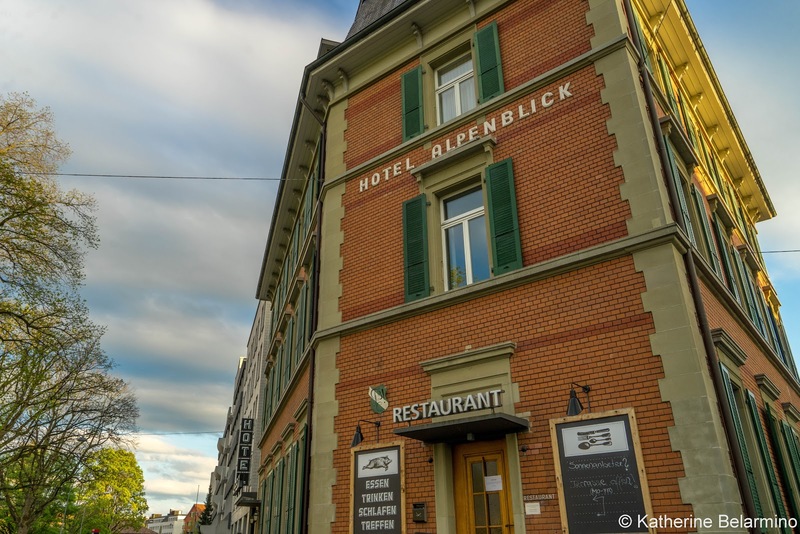 Thank you to Hotel Alpenblick, Switzerland Tourism, and Bern Tourism for hosting our time in Bern and making this post possible. As always, all opinions are our own. This article contains affiliate links. If you purchase through them it costs you nothing extra and we earn a small commission which goes towards this website and bringing you more travel stories.